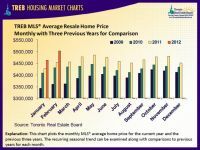 The newest figures of Greater Toronto REALTORS® recorded a total of 7,032 home sales in February 2012. This represents a 16 per cent increase in the number of sales compared to February 2011. 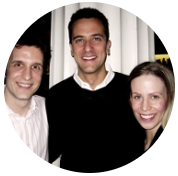 The number of new listings went up by 11 per cent, reaching 12,684. However, we should take into consideration the fact that 2012 is a leap year, with one extra day in February. If we don’t count the 29th day of February, there was a 10 per cent increase in sales and a 6 per cent increase in new listings. The first two months of 2012 have shown that strongly growing competition between buyers is pushing the average selling price higher. Toronto Real Estate Board president Richard Silver pointed out that this trend won’t change until the market becomes better supplied. 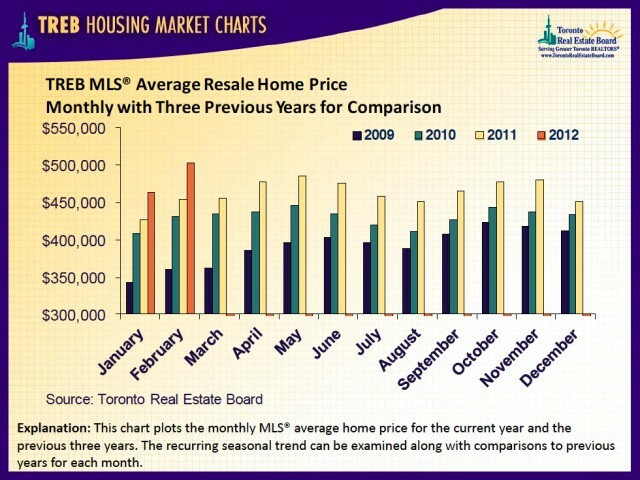 The average selling price through the Toronto MLS® in February 2012 recorded an eleven per cent year-over-year increase, settling at $502,508. Moreover, the Composite MLS® Home Price Index for TREB, which provides a more stable measure of price growth compared to the average price, showed a 7.3 per cent increase compared to February of last year.